Medical Marijuana: Too Stoned to Skateboard? Marijuana: Too Stoned to Skateboard? Home > Motor vehicle crash > Marijuana: Too Stoned to Skateboard? Recently I had lunch with an elderly man who told me of a vote that failed in Florida to legalize marijuana. Colorado and Washington have approved marijuana dispensing; the vote to legalize medical marijuana failed in Florida by a narrow margin. Proponents are set to try again in 2016. Medical marijuana is prescribed to treat people with debilitating medical conditions. The Florida measure defined a “debilitating medical condition” as cancer, multiple sclerosis, glaucoma, hepatitis C, HIV, AIDS, ALS, Crohn’s disease, Parkinson’s disease “or other conditions for which a physician believes that the medical use of marijuana would likely outweigh the potential health risks to the patient.” It reduces loss of appetite, nausea and vomiting. Medical marijuana is legal in 22 states and the District of Columbia. The use of marijuana for medical purposes is different than legalizing it for recreational use. Marijuana is used recreationally for its ability to relax, create euphoria and alter mood. My friend argued that there is nothing wrong with legalizing marijuana for recreational use. He asserted that people should be allowed to do what they want. No one is hurt. But is this true? Another one of my friends saw a Colorado teenager who was listening to music and smoking a joint as he skated across an intersection. (Yes, truly. This activity is wrong on so many levels.) Let’s assume a driver hit this teenager. You are a personal injury attorney representing the driver. Focusing just on the issue of marijuana use, you wonder how it impacted the skateboarder’s skills. There is evidence that marijuana impairs driving skills. Attention is diverted away from the activity at hand. Drivers make more mistakes and respond more slowly. They have impaired judgment, coordination and reaction time. 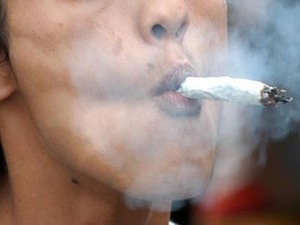 Although a marijuana smoker may see a hazard, he may not mentally process what he sees or respond to it. Marijuana is the illicit drug most frequently involved in motor vehicle accidents. Who is at fault? Your skills as a personal injury attorney come into action. The circumstances of the crash hold the key. Was the boy hit at an intersection? Was he within the lines? Did the driver have the right of way? Let’s assume the driver was not at fault and the issue becomes the behavior of the boy. 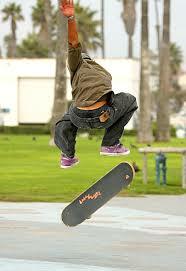 Several factors affect the performance of the skateboarder. A Youtube video asserts that smoking marijuana makes you a better skateboarder. Showing before and after footage of teenagers skating in a deserted parking garage, they make several mistakes before they smoke and then miraculously are skilled and coordinated afterward. Don’t believe everything you see on Youtube. Detection of total THC metabolites in urine, primarily THC-COOH-glucuronide, only indicates prior THC exposure. Detection time is well past the window of intoxication and impairment. So what can we conclude? Skateboarders like to argue that smoking marijuana makes them better skaters. It seems to me that anything that impairs concentration when you are in motion, whether in a car or on a skateboard, can distract and lead to accidents. Does relaxing the laws for use of medical marijuana potentially put it in the hands of people without medical conditions? Does decriminalizing marijuana help society? Make us better people? Better citizens? More alive? Happier? We know it does not make us safer drivers. Need help figuring out how an error occurred? Our legal nurse consultants work with medical records and attorneys to create chronologies, develop questions for depositions of defendants and suggest items obtain through discovery. Give us a call. We’re here to help. There are currently no articles related to this post. Sign up for our eZine Newsletter and Get FREE reports! Could your Occupational or Physical Therapist be treating you incorrectly? Videocams: Can They Beat Nursing Home Abuse? © 2015 Med League, Legal Nurse Consultant, All rights reserved.